Hey there ya’ll. Its StrongArm with an update on how our charts have been progressing. During the past weeks since my last entry which saw Ab-Soul at #1 with “The End Is Near” back on 6/20, we have seen Talib Kweli top the chart on 7/2 with “Rocket Ships” featuring Busta Rhymes and Produced by RZA, who recently turned 44. Back on 6/27 San Jose’s very own Rey Resurreccion topped the charts with his take on a dope Jake One instrumental known as “Cream”. This week our #1 track is none other than South California recording artist Nipsey Hussle. 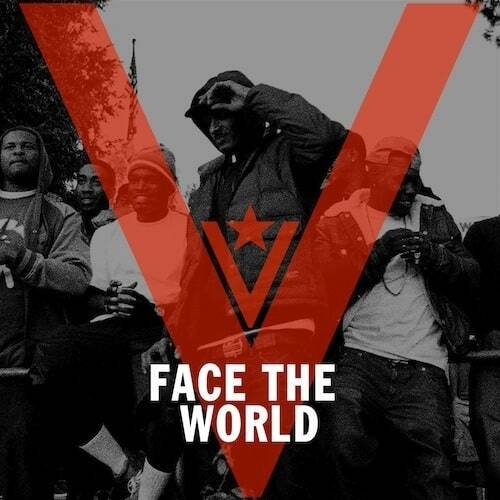 The track “Face the World” features potent uplifting rhymes from the heart. How fitting that he raps over one of the dopest beats from grammy-winning producer, 9th Wonder. Nipsey has often been associated with gangster music, and without a doubt makes great west-coast knocks, however this track is a testament to his versatility and ability to inspire. Although rumored to sign to a major including Rick Ross’s MMG imprint, NIpsey remains independent, since his split with Epic Records back in 2010. His next project Victory Lap is due soon and tracks like “Face the World” as well as “Respect ya Passion” produced by B!nk (Bink Dog), and “Smokin With My Stylist” are a good indicator that it will be one to look out for. ****Disclaimer embedded soundcloud, bandcamp and youtube links below are DIRTY versions of tracks and contain profanity. These are for your listening enjoyment, if you are offended by such language, please refrain from listening to these songs, and tune into 90.5FM KSJS (www.ksjs.org/listen) as we play FCC-friendly , clean versions of these tracks in our rotation, but for practicality sake, we have embedded regular versions for this blog entry. I-L Twice is a unique talent. Often overlooked, hometown hero, blog sensation, and versatile lyricist with punches that pack heat, and verses full of jewels. The Bay Area emcee/producer from Sunnyvale, CA (suburb of San Jose), has released a quality project, in Victory Lap. The album is produced by himself, Mr. Clean, Spencer Nezey & Sean Ross. “Steve Mcqueen” is produced by Spencer Nezey and shows I-L twice flexing his skills over a dope beat that will get your head nodding. The hometown hero comes in at 2nd this week in our top 40 rotation. The veteran Bay Area emcee out of the Mob Figaz crew, Rydah J Klyde comes in at #3 in our charts this week. The track received a lot of love and requests this week. Rydah recently released an album by the name of K.L.Y.D.E. Fisher. Check out the “All Night Long” track below which has been blazing up our rotation. I dont know how i came across Trubz-Summertime, but it is such the summer jam! you should keep that in rotation! You dont hear enough good music like that around! I dont know who he is, but that song is Awesome!! thanks…and i also searched him on youtube and found a couple great videos he has! i think he is from Kentucky, but i feel Cali would love him!